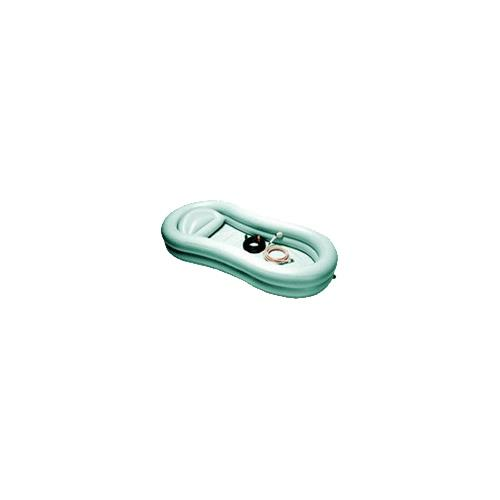 EZ-Access EZ-BATHE Inflatable Bathtub With Accessories allows patients to enjoy a bath or shower without leaving their bed. The patient simply rolls onto the vinyl tub, which is then inflated around them using the included wet-dry vacuum. The reinforced tub with its new streamlined design is longer and deeper. Fits all beds. 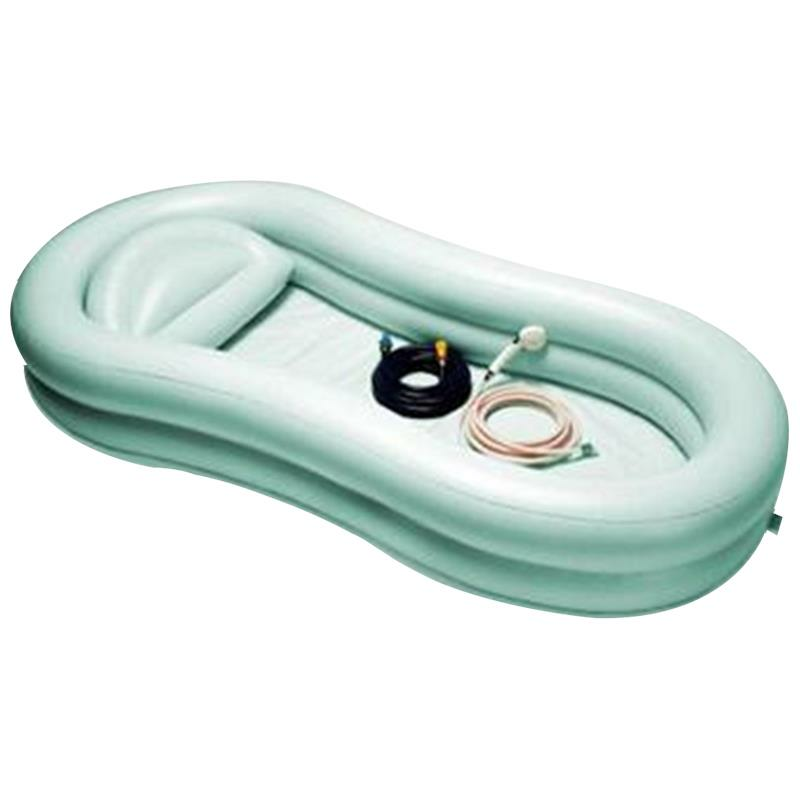 Accommodates individuals up to 6ft 2"
The EZ-Access EZ-BATHE Inflatable Bathtub weight capacity is under 300lb. The Tub inflates to 71"L x 31"W x 13-1/2"H to accommodate individuals up to 6' 2". Its overall dimensions are 84" x 31" x 13.5". Fits all beds.